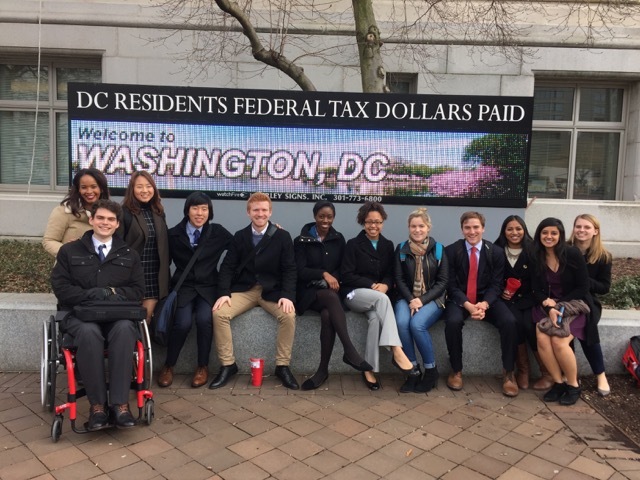 The Duke in DC program offers a unique and exciting opportunity to live, study, and work in the nation’s capital. 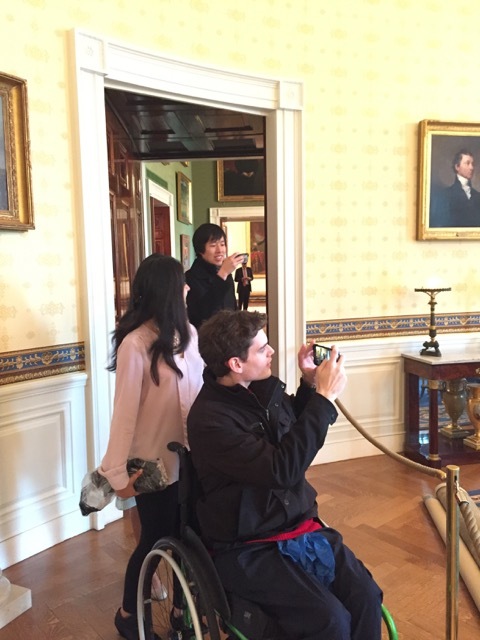 You’ll experience up close how public policy shapes society and your place in it. Whether your future is as a lawyer, a social entrepreneur, a teacher, a high-tech innovator, an artist, or simply an engaged citizen, public policy matters to you. This program helps you understand how. 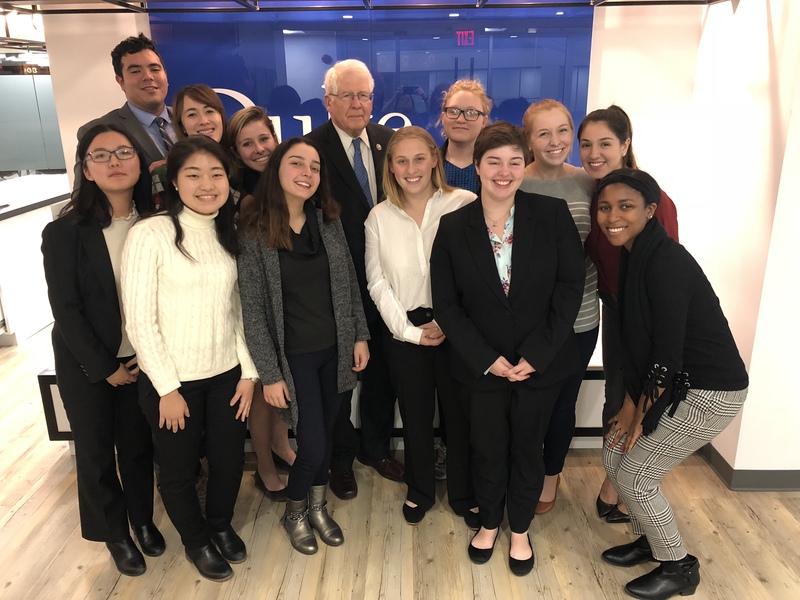 Duke in DC has a pre-professional tilt, connecting classroom study to experiential learning oriented around policy innovation and public leadership. You meet in weekly seminars with Duke faculty members, who allow you to tailor many assignments to your policy interests. The three courses often feature high-profile practitioners from the media, government, and advocacy communities – often Duke alums – who are eager to show you how Washington really works and to guide your intellectual and professional development (see below for clips from some of the speakers in the 2015 program). You also will gain a significant work credential through a 28-hour/week internship at an agency or organization of your choice. 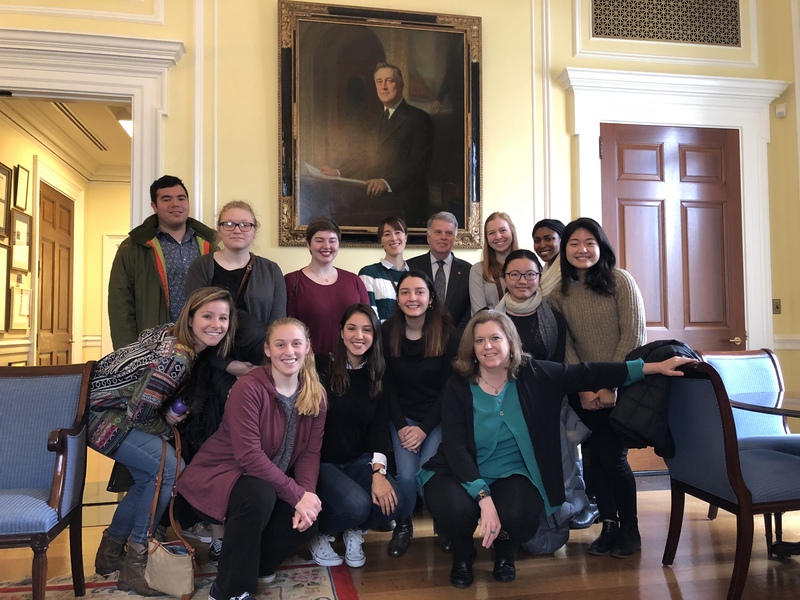 We spend the semester visiting key sites – from the world-famous monuments of the federal city to the everyday neighborhoods of “the real DC.” You have lots of opportunities to network with Duke alums at basketball “watch parties” and social events at the university’s beautiful offices in downtown Washington. You will enjoy a group-living experience in a new facility centrally located near trendy restaurants and major Washington attractions. The program is offered by the Sanford School of Public Policy and the Global Education Office. Majors from all departments are encouraged to apply. Here’s a nice story about the student experience. See the full list of speakers at this link.